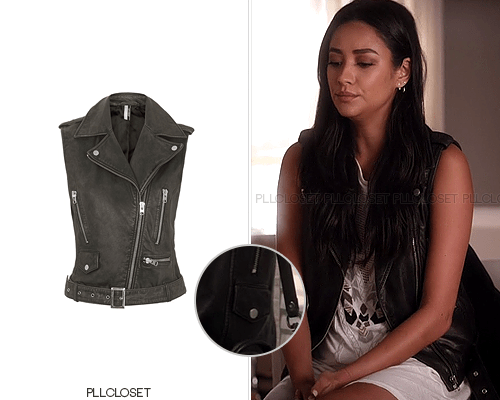 I binged the rest of this season of Pretty Little Liars, so I decided to have a season recap of their fashion. 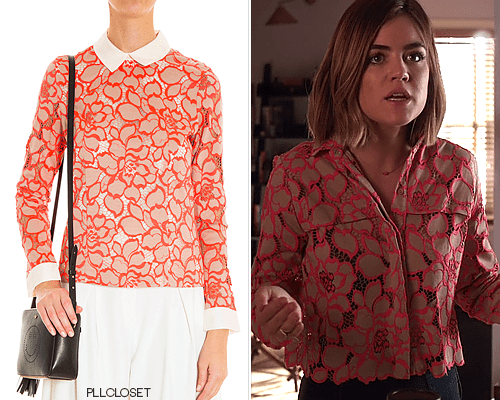 I really love Aria, Hanna and Emily’s styles this season. I also love Spencer but her style is definitely different from my own. I think I have one outfit of hers and it’s a flashback. I love this lace shirt. From afar, it looked like a print. She wore this top with short shorts, so I think they balanced each other out. I’m loving Emily’s style. It’s definitely surprising to see her in dresses and vests once in a while. She’s also wearing a lot of leather. This vest is really cute to wear with dresses or tanks for the spring. Even though Hanna was miserable at her shower, I thought she looked glowing in this dress. 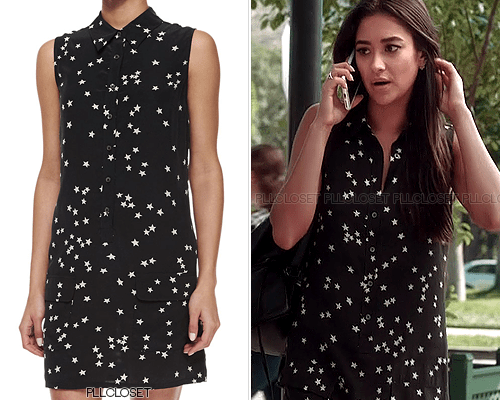 I love that Emily wore this relaxed little dress. It’s cute, casual and her style has a “girl next door” quality to it, whereas the other girls dress more professionally and elegant. I’m a huge fan of Rompers, especially the ones with billowing sleeves. It’s very boho chic. Spencer wore this dress in a flashback, but I loved how unexpected it was. Spencer is so used to looking structured, so it’s nice to see a change. 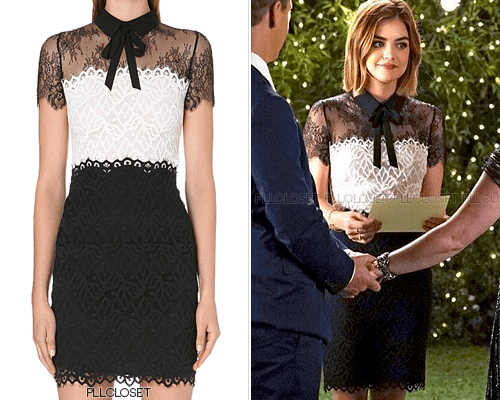 This dress is not something I’d see Aria wearing, but I actually really loved how she looked in it. I love the black overlay on the top. It has a romantic feel so it was appropriate for her parent’s wedding. I loved this print. 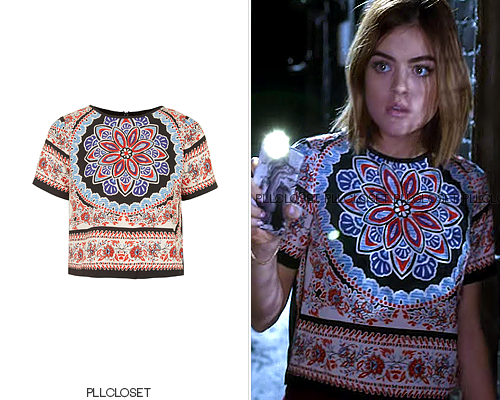 Aria wore mostly prints all season and it really worked for her style. She definitely toned it down from her edgy style in the previous seasons.